12 Things about Hunger – Did You Know? 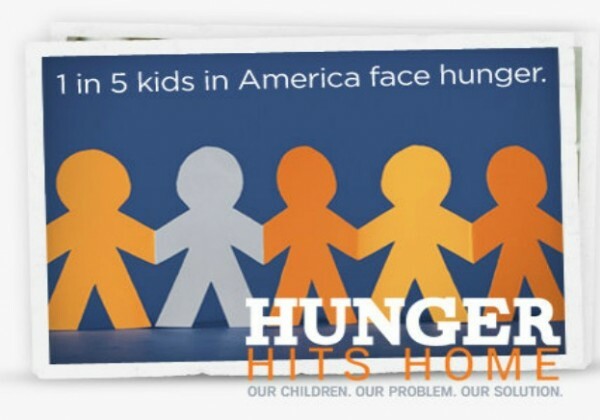 50.2 million Americans live in food-insecure households. 17.2 million children in our country don’t get enough healthy food to eat. Households with children experience almost double the food insecurity rate of childless households. 5.6 million households relied on a food pantry one or more times in 2009. 925 million people do not have enough to eat – that’s nearly three times the population of the U.S.
98 percent of the world’s hungry live in developing countries. Malnutrition leads to nearly one third of all childhood deaths before age 5. More than 60 percent of the world’s hungry are women. Hunger kills more people annually than AIDS, malaria and tuberculosis combined. One in seven people will go to bed hungry tonight. One in four children in developing countries is underweight. Please join us May 4, 2014 to make a difference. Donate Now. Each of us as a reason for walking to support the work of the CROP Hunger Walks. Perhaps one of the reasons that hunger and poverty are allowed to persist is that the personal stories which would help us all to understand the challenges and complexities of living with the uncertainty of poverty remain hidden from public view. We know that with a feeling of shame, anxiety or desperation people who are without food seek assistance with obtaining food. One of these stories was recorded in 2010 by Gy and Sylvia. While it was recorded 4 years ago, it is just as timely today as they continue to work on the CROP Hunger Walk. We plan on sharing stories from people who walk in the CROP Hunger Walk and the Local Agencies that help feed the hungry. You can always go to our website where we have a link to the stories which we will be producing in the coming weeks. Thank you for listening and thank you for caring. Between 2:00 and 4:00 p.m.
Save the Date postcards have been sent out. 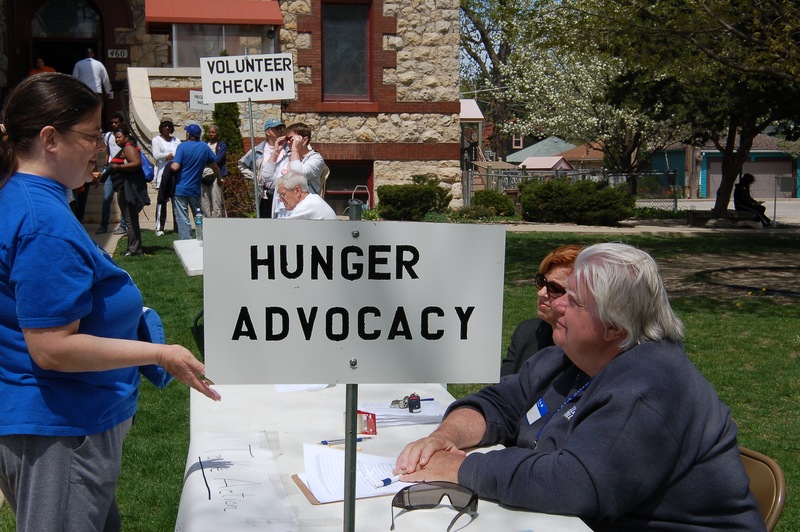 Pick up materials you will use in promoting the CROP Hunger Walk in your church/organization. Get important tips from experienced Recruiters. Learn how to raise funds on the Internet and sign up your teams. 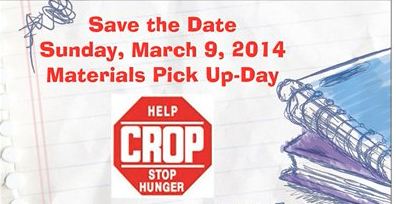 Pick up materials you can use in promoting the CROP Hunger Walk. We look forward to seeing you all there. Working together, we can help fight hunger – one step at a time!